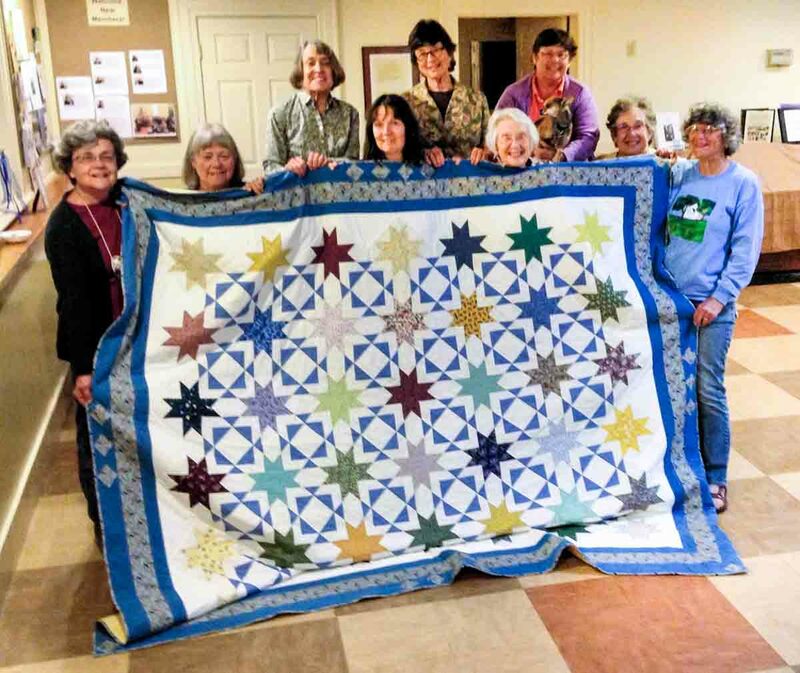 The Purple Paisley Quilters meet every Monday at 7:30 in the church basement to quilt, knit, do GOOD WORKS like wrapping presents for Christmas for Kids or sending out mailings for the South Sudan Medical Relief Clinic, and working on solving the world’s problems, large and small. The group formed over 20 years ago. 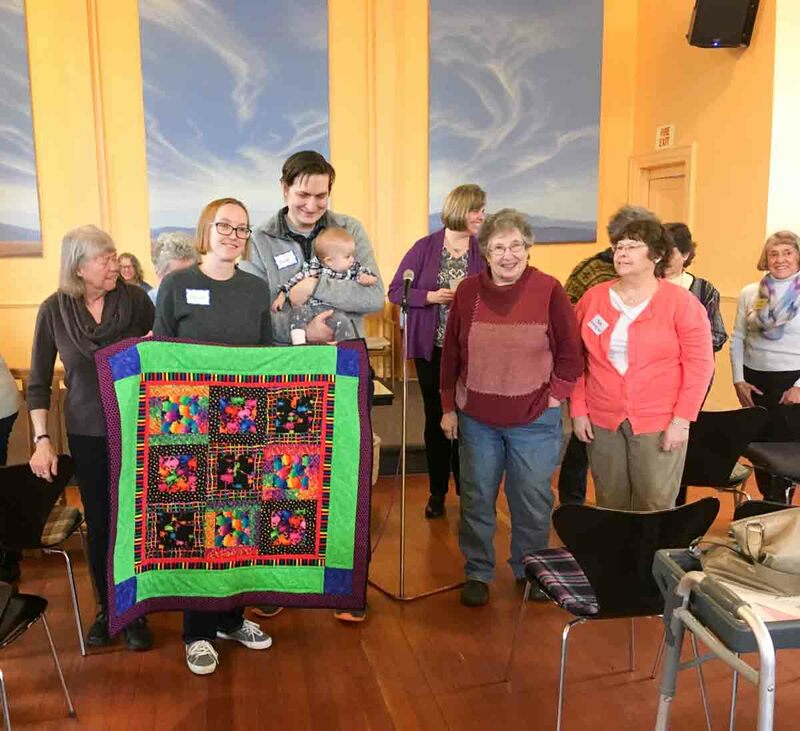 Several quilters got together to make a farewell quilt for Betta Beu, wife of our UU minister who was moving to a new position. We found that we enjoyed it so much that we have continued to meet ever since. Medical Relief Clinic run by Dr. Jill Seaman are our largest beneficiaries, but we have many other causes we support as well. We welcome all new babies into the congregation with a gift of a hand-made quilt. Best of all, we are a group that supports our community at all levels, caring for our PPQ members, our church and our greater Palouse Community. We welcome anyone who is interested in joining us to come any Monday evening. No skills required, all materials supplied. Want to learn to hand quilt? new knitters. Want to learn more about the UU Church? 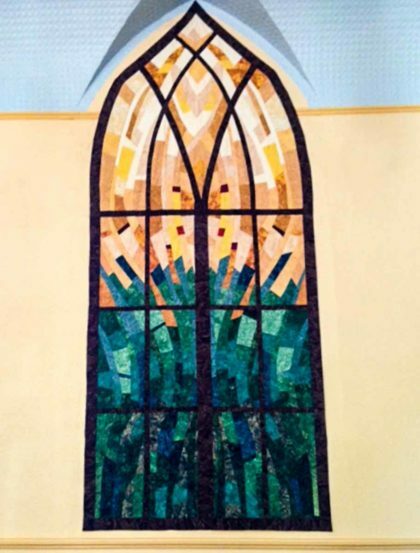 PPQ are involved in every aspect of the church’s life, and are sometimes referred to as “The Power Center of the Church”. We’d love to have you come. For more information, contact the church secretary for contact information.